Her life, her work, her legacy—step into the world of the incredible Jane Austen. It's Jane like you've never seen! Through fun and breezy lists, discover everything there is to know about Jane Austen, the sassy literary genius we know and love. Learn her likes and dislikes, her haves and have-nots, where she traveled, how she lived, and who she knew. Joan Strasbaugh is publisher and editor of Jones Books. She conceived of and coordinated the "Jane Austen in the 21st Century Humanities Festival" at the University of Wisconsin. She is a member of the Jane Austen Society of North America and Janeite since 1995. Jane Austen fans, is this ever a treat for you! This little gem of a book has literally everything listed inside that you could possibly imagine and more. Everything from her family history, her writing, her hobbies, you name it, it's in the book. I absolutely loved the pages of poetry. I felt like I had a sincere glimpse into what her life and world was like back then. Her poetry shows how she felt then. Tons of fun raveled into this book. I love how heartwarming it is, and am sure there are tons of you that will appreciate and love it too! 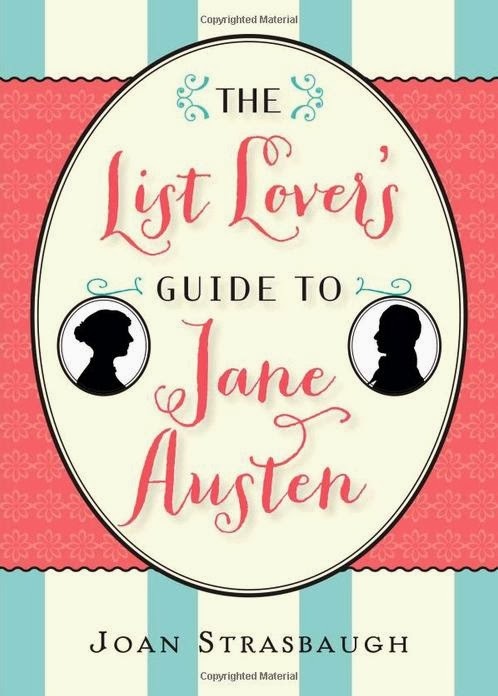 I dare say, you have to be a fan of Jane Austen's though, or this book may not have that affect on you.